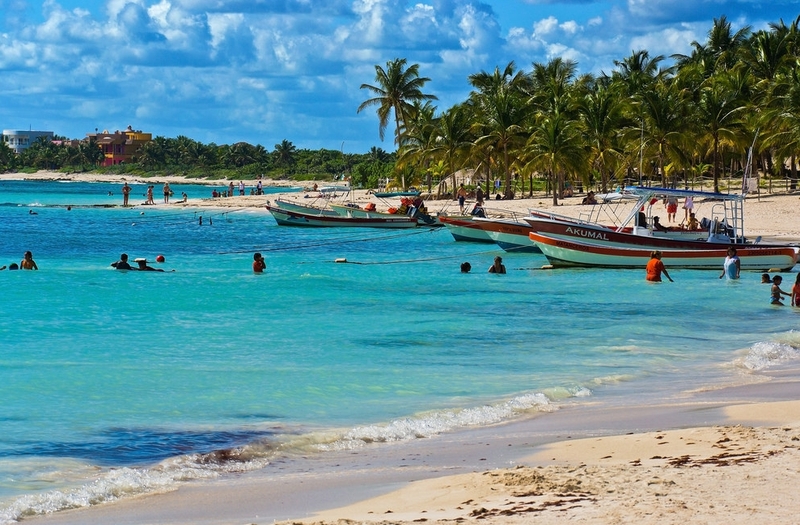 Many people who visit the Mexican Caribbean have gotten to know places like Cancun, Playa del Carmen. But there are many out of the way places that will give you those “this is why we live here” moments, and Akumal is definitely one of those places. At only 11 miles (18 kilometers) from the Porto Bello Private Residence Club, Akumal is best know for it's bay of calm water and powder-soft sand, protected by an offshore reef. It is a top destination for SCUBA diving, snorkeling, kayaking and just plain relaxing. 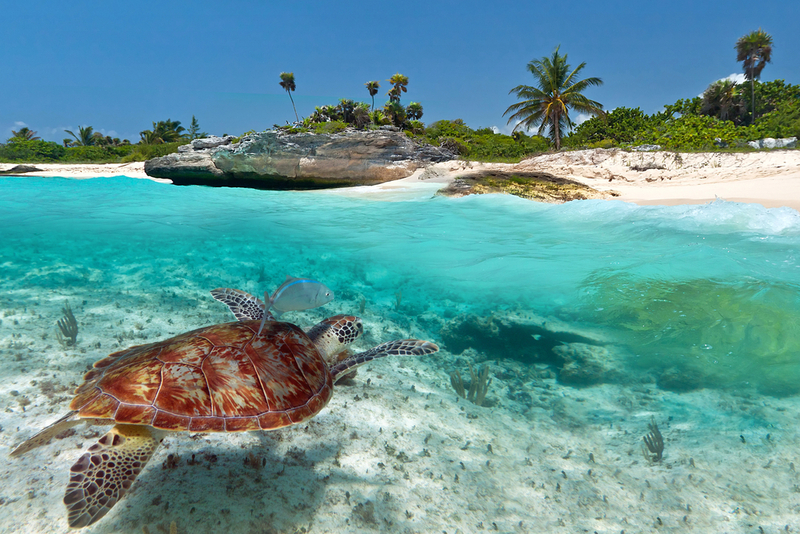 The name Akumal means “land of the turtles” in Mayan, and it is very apropos, as the area is a major nesting ground for these enormous, beautiful creatures. As you snorkel or dive off the coast you can observe these mammoth animals swimming gracefully in the crystalline waters in Akumal. During nesting seasons you can watch (just don’t interfere) them lay hundreds of eggs into their beachside nests and cover them with sand. If you’re fortunate enough to be here when the eggs hatch, you will witness the spectacle of watching hundreds of baby turtles scurrying across the sand to take their first dips in the Caribbean Sea. These are truly one those once-in-a-lifetime experiences you and your family will treasure. In one of the coves of Akumal called Xaac (pronounced Shok), vestiges of the ancient Mayans have been found in the form of ruins hidden in the jungle foliage. Bring out your inner Indiana Jones and explore the area. · Bring your own snorkel or diving equipment, or better yet, let us know so we can put a snorkel or SCUBA excursion together for you with an experienced guide and gear. · Use biodegradable sunblock (it’s available in most stores here) to protect the sea creature. For more information to see how easy it is to enjoy the hassle-free lifestyle and amenities and benefits of the PortoBello Private Residence Club, contact us by phone at +52 (984)873-5909 or write us at ownit@experienceportobello.com. Your questions and comments are appreciated!